Volunteers in any national park are of vital importance, however, the need for a strong support team of volunteers in the Hawai’i Volcanoes National Park is fundamental due to the park’s unique and dangerous terrain. Located on the Big Island of Hawai’i, the Hawai’i Volcanoes National Park includes both the Kīlauea and Mauna Loa volcanoes, two of the world’s most active volcanoes. The national park showcases the continuously developing results of more than 70 million years of volcano eruptions, wherein flowing molten lava has created layers of volcanic landscape. 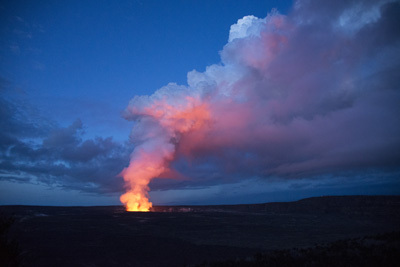 The Halema’uma’u volcano lights the morning sky in Hawai’o Volcanoes National Park (Photo courtesy of National Park Service). As a result of the active nature of the park, volunteers play a crucial role in preserving the unique and constantly evolving ecosystem that exists there. While the role of these volunteers often goes unrecognized, their daily tasks are crucial to the preservation and operation of the park. In fact, the park’s volunteer program encompasses an unprecedented number of tasks in comparison to other national parks in the United States. Cindy Orlando, superintendent of Hawai’i Volcanoes National Park, said in a recent press release that the park relies on both resident and non-resident volunteers to sustain the park’s operations. “Volunteers plant endemic seedlings and remove invasive species. They identify and protect sea turtle nesting sites and steer newly hatched turtles to the ocean,” she said. 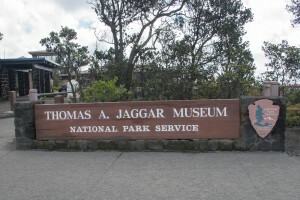 The Jaggar Museum at the park entrance (Photo courtesy of National Park Service). Other tasks that the volunteers are involved in include archiving in the park library, protecting archeological sites, maintaining trails in the backcountry and filing and tallying volunteer program hours. There is an opportunity for anyone to be involved with the park and to use their interests and expertise to add to the park’s vibrant environment. Orlando described how a local photographer volunteers at the park to help documentary directors find good locations in the park in which to photograph. The volunteers who work at the park enhance the dynamic landscape. In particular, the park is unique in that it draws in volunteers from across the globe. “We get a steady stream of international volunteers from Japan, the Philippines, Spain, Sweden, Germany, and even Monrovia,” Orlando said. International volunteer Renata Sula from Queensland, Australia, believes that working at the park has fuelled her enthusiasm for geology and teaching. Click on the video at right to view an audio slideshow about volunteers at Hawai’i Volcanoes National Park prepared by writer Gabriella Shofer. “I have a passion for natural history and sciences and I am in my element when I am outdoors. I feel as though I have benefited greatly from my time as an international volunteer in the Park for the Interpretation and Education Division,” she said. Nicolas Betes, international volunteer from Bern, Switzerland, has been volunteering since December 2013 and shares Sula’s sentiments. “I was always fascinated by remote exotic places like the Hawaiian Islands. My studies in botany and mycology in Switzerland encouraged me to go and discover remote exotic places like Hawai’i,” he said. 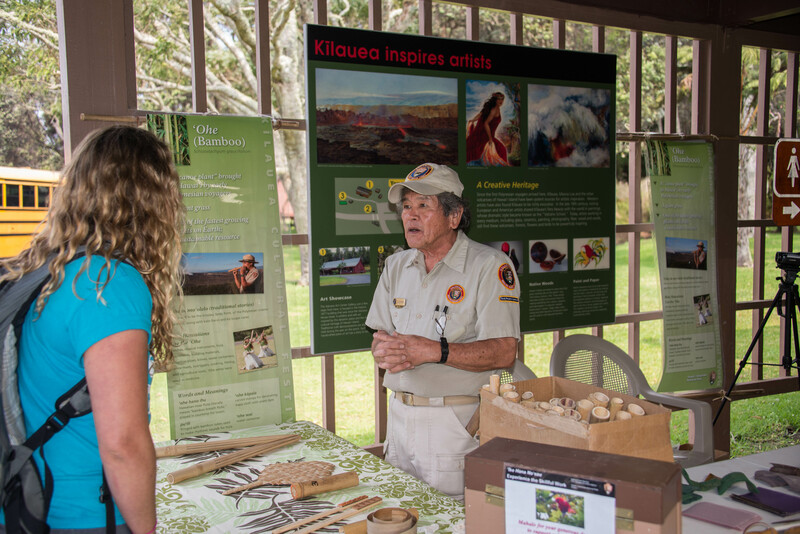 He also encourages others to participate in the volunteer program at Hawai’i Volcanoes National Park or in other national parks in the United States by highlighting the endless possibilities to meet interesting people and discover new places that the program offers. Additionally, volunteers can be involved in particular programs such as the Stewardship at the Summit program. This project focuses on restoring the native Hawaiian rainforest by removing foreign invasive plants. “Volunteers have spent more than 2,000 hours restoring over 15 acres of native rainforest in the national park so far in 2014, mostly along Halema’uma’u Train near the summit of Kilauea volcano,” Kupono McDaniel, Youth and Volunteer Programs Coordinator at the Hawai’i Volcanoes National Park, said. 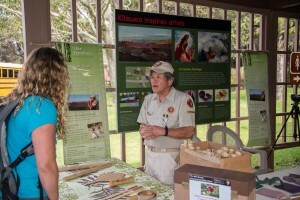 Master volunteer ranger Ed explains the art of creating a nose flute (Photo courtesy of National Park Service). Not only do volunteers have to deal with performing their job, they are required to be extremely aware of their surroundings. Working in such an unpredictable environment is paired with various unusual safety concerns that the volunteers are required to be trained to notice and deal with in order to ensure their safety is always a priority. However, Jessica Ferracane, public affairs specialist and spokesperson for Hawai’i Volcanoes National Park, insists that the threats faced by volunteers working nearby active volcanoes are not what one would typically expect. “Our Hawaiian volcanoes are shield volcanoes and are not cataclysmic volcanoes like Mt. Saint Helens or other explosive “blow your top” volcanoes found elsewhere,” she said. Instead, she highlights that the main threat faced for volunteers, park visitors and employees from the Kilauea volcano, which is currently erupting in two locations, is the volcanic gas. 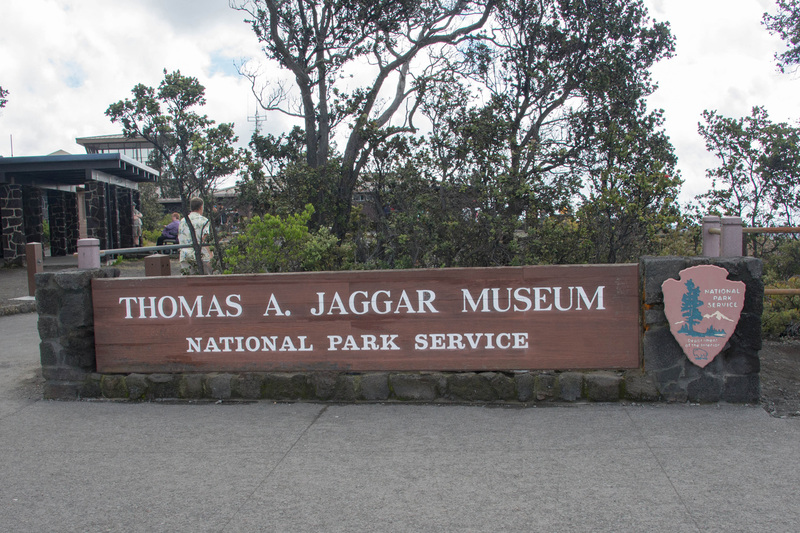 During the winter months, when the trade winds shift to the south, the fumes are blown over many highly frequented areas including the Kīlauea Visitor Center and Jaggar Museum and overlook, the popular summit area hiking trails, park headquarters and volunteer housing. 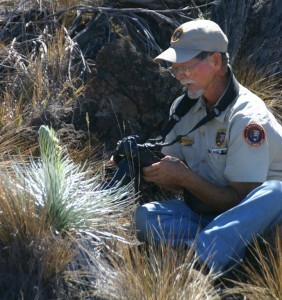 Volunteer Dave photographs park ecology (Photo courtesy of National Park Service). “Volcanic fumes contain hazardous sulfur dioxide gas and thin fragments of volcanic gas and are dangerous to breathe, particularly to people with heart or respiratory problems and infants, young children and pregnant women,” Ferracane explained. Yet since the volcanic gas is visible and has a distinct smell, staff and volunteers are equipped with air-quality testing badges that notify them when air quality is poor so that they can relocate to another area of the park. “We rarely have to evacuate per se, it’s more of a partial closure until air quality improves. The park is large, 333,086 acres to be exact, and it stretches from sea level all the way to the summit of Mauna Loa at nearly 14,000 feet, so there’s always somewhere in the park that has good air to breathe,” Ferracane said. Despite the dangers, the park continues to lure in volunteers, who receive little compensation, to participate in its renowned programs. However, in this constantly evolving landscape, new volunteers are always welcomed with open arms. While many visit the Hawai’i Volcanoes National Park to revel at the expansive views and alluring ecosystems, perhaps the most impressive aspect of this dynamic environment is the system of volunteers that work behind the scenes to ensure an awe-inspiring and memorable experience for every visitor.